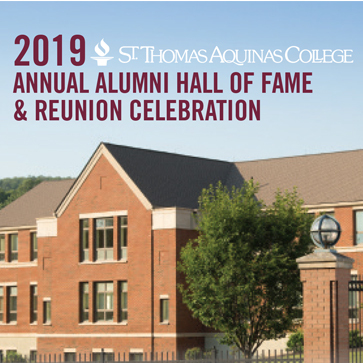 St. Thomas Aquinas College’s Alumni Association will induct five alumni and two Spartan Award honorees into its prestigious Alumni Hall of Fame on January 25, 2019 at the Park Ridge Marriott (Park Ridge, NJ), announced Karen Wright, vice president for Institutional Advancement at the College. Dr. Patricia Broderick, O.P (Bronx, NY), class of 1963, is an inventor, researcher and medical professor in Molecular Cellular and Biomedical Science at City University of New York, and a Professor of Neurology at NYU-Langone Medical Center. She has invented, patented and trademarked The Broderick Probe, biosensors for Nanotechnology, which along with providing online images of the living brain in vivo, can diagnose and treat debilitating neurodegenerative and psychiatric brain disorders. Dr. Broderick is also known for her prolific authorship of over 300 articles in prestigious medical journals and for her innovative and approachable teaching style at the Medical School. Sr. Barbara Wright, O.P. (Yonkers, NY), class of 1969, has been an educator for over 50 years. She began her career teaching third grade at Our Lady of Grace School in the Bronx, NY, and over the years, taught at Immaculate Heart of Mary (Scarsdale, NY), St. Vito School (Mamaroneck, NY) and Salesian High School (New Rochelle, NY). In 1988, Sr. Barbara was appointed assistant principal at Salesian High School and continues to hold the position. Sr. Barbara is the recipient of numerous awards and honors, including the Don Bosco Distinguished Educator Award and the St. Philip the Apostle Foundation Award for service. Ms. Joanne Loniewski Favata (Norwood, NJ), class of 1981, is the Director of Alumni Relations at Ramapo College. From 2007 to 2017, Joanne was the Director of Annual Giving and Alumni Affairs at St. Thomas Aquinas College, where she established the Alumni Travel Club, and hosted the group in Italy, France Germany, Switzerland and Ireland. In her role at STAC, Joanne also led the Alumni Association Board of Directors, and continues to serve on the Alumni Board. Ms. Kristen Sullivan (Suffern, NY), class of 1990, has been a central figure of the St. Thomas Aquinas College women’s softball program for parts of four decades and rates as one of the College’s finest all-time players. She pitched an amazing seven no-hitters, including the only perfect game in STAC softball history, and led the Lady Spartans to some of their most successful seasons in the 35 years since the program was established. Kristen is the only player in STAC history to receive First Team All-Conference and First Team All-District, in all four years of her playing career. Kristen is the head coach of the St. Thomas Aquinas College Softball team. Mr. Scott White (Ramsey, NJ), class of 1991, is a certified public accountant and Executive Director of Financial Planning and Analysis at KPMG, supporting the firm’s go-to-market efforts. In this role, he teams with industry leaders and managing partners of KPMG offices across the country, providing business insights which enable them to better serve client needs. He has led numerous KPMG training sessions on financial reporting and other financial analysis topics. Scott mentors STAC students toward achieving their career goals in an increasingly competitive landscape, and serves annually as a panelist at STAC’s School of Business Fall Accounting Forum. The STAC Alumni Association’s 2019 Spartan Award will be presented to Aramark and the Sisters of Charity of Halifax for their ongoing support of the College. Paul Carroll, general manager of Aramark and Dr. Margaret Fitzpatrick, S.C., President of St. Thomas Aquinas College, will accept the awards. The event also celebrates the 50th anniversary of the St. Thomas Aquinas College Class of 1969. To register for the annual Hall of Fame event visit https://www.stac.edu/HOF2019.